Yep, we did the Polar Plunge. It was fun! It wasn’t nearly as bad as I thought it would be. In fact, dreading it beforehand was much, much worse than the actual doing. Like most things in life we dread, right? I”ll post about it in a couple of days once the photos and videos come out in the news. 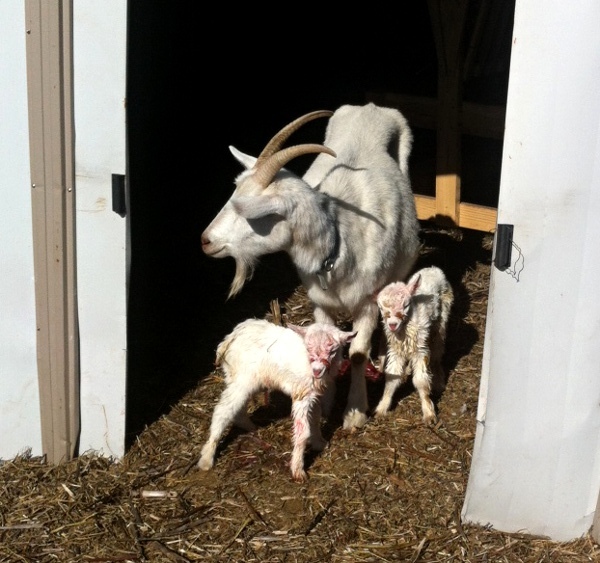 When we got home that morning, two new baby goats greeted us! Cotton had finally popped! They look just like their mama! So, instead of heading directly inside to hide under blankets for the rest of the day, I got to hang out in the shed and bask in cuteness for a while. What a treat! They were both soon nursing like champs. They’re still doing great and are strong & healthy. Whew. 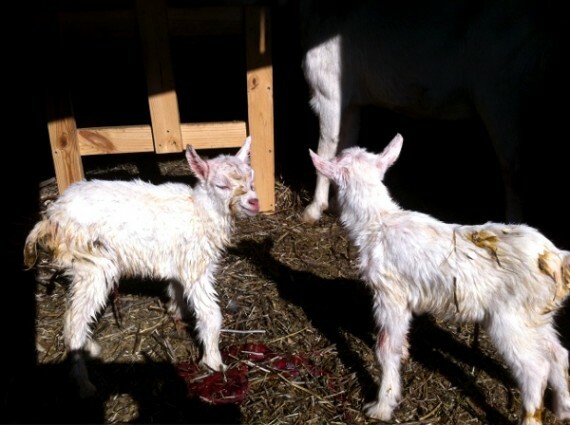 They’re both doelings and, considering that day’s activities, I’ve decided to name them Polar and Plunge. I know. I’m a dork. Nope, no need. You, my dear Mo, have blanket permission to do what you will with whatever I have/post. Off topic. I love my Danish dough whisk. So much so that I gave one to a friend who often makes quick breads/sweet breads and has been looking for a perfect whisk. When I gave it to her, she said, “A Danish Dough Hook! I’ve been wanting to try one.” Your influence spreads, because of course I had to attribute you. Very cool. I can’t believe how genius a cheap, simple tool is! Wow. Two more grand”kids”. Beautiful. You’re much braver than I am, there’s no way I could done the plunge. Cute names for your little surprises, love the names.